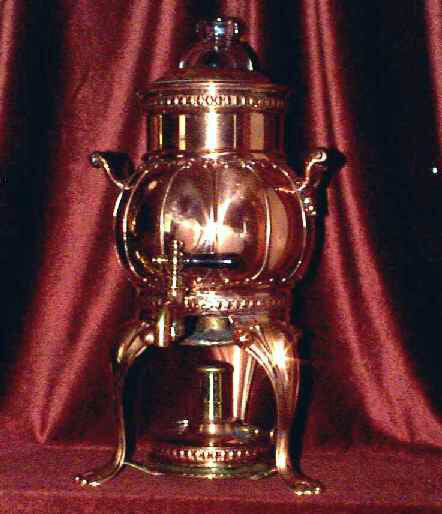 This exceptional Copper Coffee Perculator is without a doubt the finest we have seen! Manufactured by Landers, Frary & Clark, (first patent 1894, this one May 22, 1906), one can readily understand its popularity over a long period of time. The exceptional decorative details put this in a class by itself . . . definitely the "top of the line". The condition is outstanding and all the parts are there so it could be used should one desire.